How much do you know about bourbon? You may be able to distinguish the taste of it but do you know how it's made? Or even how it got its name? This infographic from Wild Turkey Bourbon sets out to answer all of the above questions and more, detailing bourbon production and giving some great little snippets on how the drink gets its color. 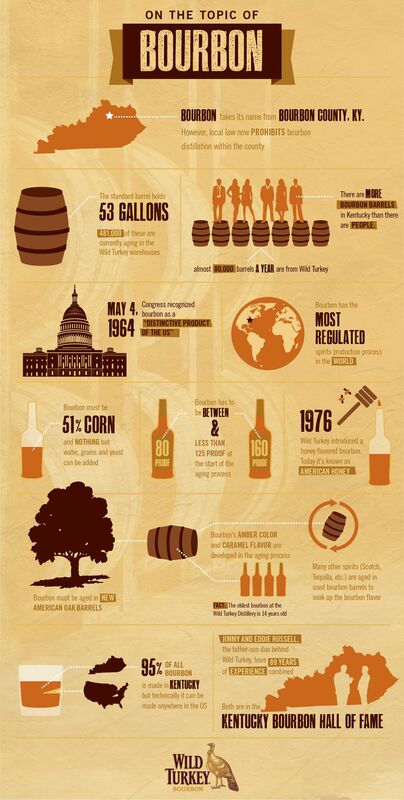 With one look at this you'll be jam packed with bourbon based facts next time you're at the bar.